Kevin Kearney and Beth Rogers organized the tire cleanup which drew non-paddlers as well as CCA members. 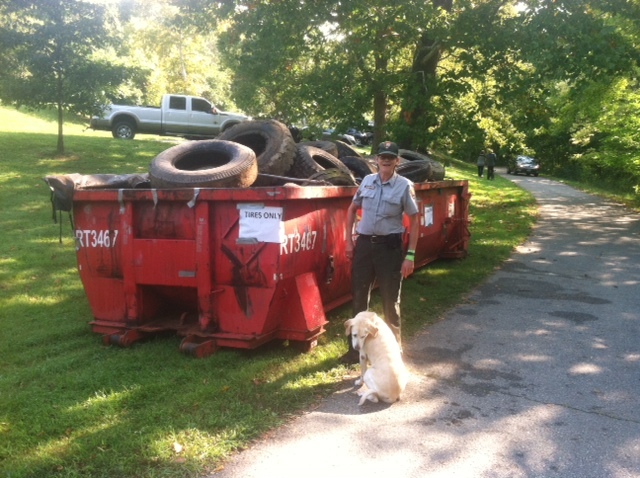 Kathleen Sengstock walked along the C&O Canal towpath after the cleanup and counted 206 tires, but the final count at the recycling center was 229. 38 people registered for the cleanup and filled out their ACA insurance/waiver forms. This tire cleanup was sponsored by the Dickerson Power Plant as a public and environmental service. Dickerson's generous donation paid for the NPS permit, the dumpster, the ACA insurance, and sandwiches and t-shirts for the volunteers. CCA members Kay Fulcomer, Susan Sherrod and Lee Tucker took care of registration and made sure everyone filled out the ACA insurance forms. Ron Ray gave the safety lecture and made sure everyone was wearing a life jacket. 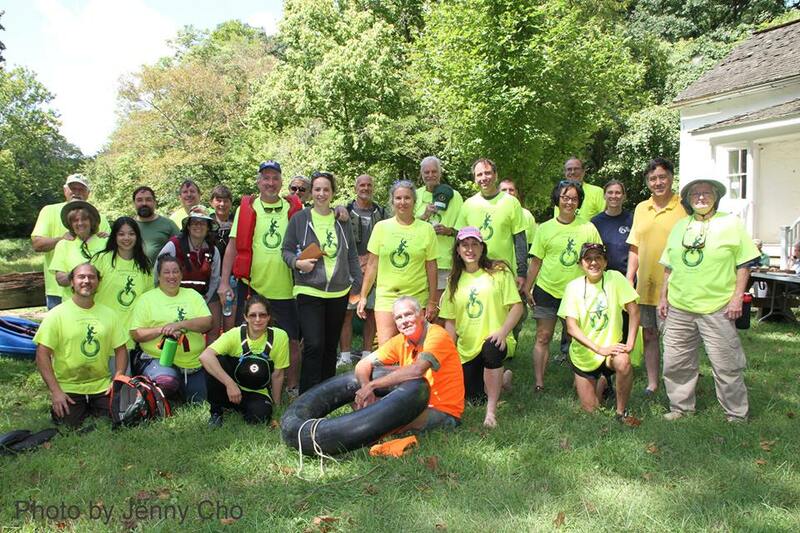 CCA members brought extra life jackets to lend to the non-paddlers.